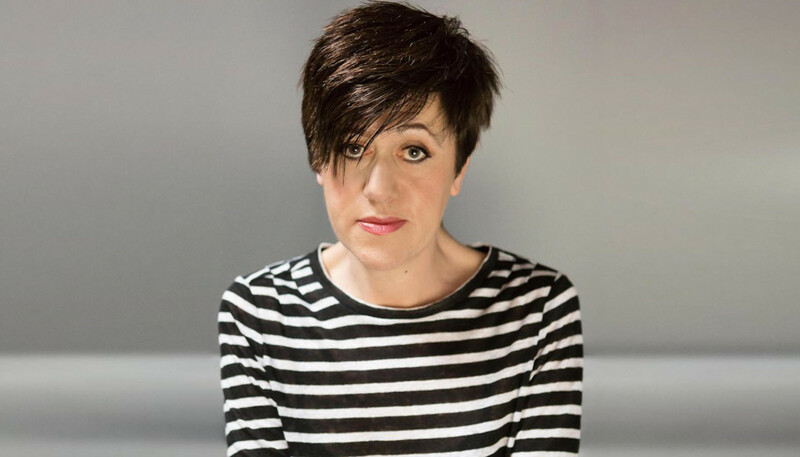 Boasting one of the most beautiful and instantly recognisable voices in the business, Tracey Thorn’s deep tones enriched the recordings of Everything But The Girl for nearly two decades, until the duo called time on the project in 2000. Eight years on from her last solo LP proper, Thorn has unveiled Record, which contains some of her finest work yet. We caught up with the singer-songwriter to discuss feminist bangers, collaborations and hope for the future. When did you begin work on Record? Around a year ago. I got to the point where I had enough songs to think it was worth booking a couple of days in the studio to do some demos, and once I’d got that time booked I actually started writing more. So I went in [to the studio] with Ewan [Pearson], the producer, in February 2017 and we put down some really simple versions of the songs, and then just started talking about what direction we might take it all in. Do you write all the time, or were you consciously amassing songs with an album in mind? No. I have long gaps sometimes when I don’t write at all. I think a couple of the songs for this record had actually been around for a year or two, and then once I decided I was doing a record I got a bit more focused on it and wrote a few at once. But I’m a bit all or nothing: either the songs come really easily when I’m on a roll, or then it all goes quiet again for a while. And you need that just to have thoughts sifting around in the back of your mind. It’s not a constant, which is why I now do have breaks in-between making music, and during those periods I drift off and do other things. But the thing pleases me is that it comes back, and when it does come back it’s as strong as it ever was. Once I started this record and got the idea for it, I was absolutely passionate about it, and really enjoyed making it. I love that feeling where you’re working on a project and you have those long days of just being focused on getting a synth part right or something. I just think it’s so much fun. And I know there’s a ceiling on what I’m going to achieve. I’m not touring any more so I’m playing it all on my own terms, and I actually feel really comfortable with that. It feels like I’m in the driving seat now in what I do and don’t want to do. Young people get castigated for being self-obsessed and lazy and I don’t think anything could be further from the truth. Tell us about your long-standing creative relationship with Ewan Pearson. When I first started working with him, about 10 years ago, I thought of him as someone who was an electronic producer, a remixer, and a DJ, so I thought, “Ok, this is the kind of the music I’ll do with him.” When I actually met him and started working with him I realized he was really versatile with broad taste, and equally at home with recording acoustic instruments. So actually we’ve ended up doing all sorts of different kinds of recording together. This record is the most electronic thing we’ve done together. It just seemed like I ought to make the most of his real strengths, which are as an electronic producer. 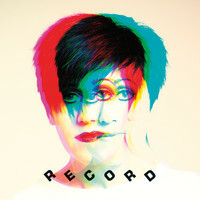 Shura and Corinne Bailey Rae appear on Record. Are there any other guests? Yeah, those two both do featured vocals on a track, and then Stella [Mozgawa] and Jenny [Lee Lindberg] from Warpaint played drums and bass on a lot of the tracks while they were over in the UK for Glastonbury. And Jono Ma from Jagwar Ma plays guitar on a couple. On “Sister” especially, we had Stella and Jenny and Jono all playing live together, which is how that long groove came about – that breakdown, and building it back up again. The soundbite “feminist bangers” is following you around in the press. Are you regretting coining that phrase yet? (Laughs) No, because in a press release you have to say something to catch people’s attention a bit, and if it made people smile at the same time as alerting to the fact that there is at least a nugget of truth in that, then that’s fine. I definitely wanted to make a really mostly upbeat, uptempo record. So although they might not be nine bangers, the motivation was to make a record that was heading in that direction. Did you have any reference points for that sound? I’m listening to new stuff all the time but on the other hand, Ewan and I both share a love of New Order and the Pet Shop Boys and stuff from that era which, again, I haven’t really referenced before. Back in Everything But The Girl, we were experimenting in the early days with drum and bass stuff and then the house remixes, but actually talking to Ewan I realized there’s this certain style of electronic arrangement that I hadn’t really explored before. So we definitely used a bit of influence from that era as well. In the time since your last LP-proper, Love and its Opposite, you’ve become a bestselling author and a newspaper columnist. How has your work as writer influenced your lyrical process? It’s made me aware that they’re very different processes. When you come to write lyrics again it really strikes you what a compact art form it is. You have to really drill down to try and say something in as concise a form as possible. But, actually, writing the column has been quite helpful in that sense because I’ve got very good at editing my own writing, aiming for brevity and minimalism. So I think I’ve got even better at just getting straight to the point, which has helped when it comes to writing [lyrics]. Lyrically, Record feels even less guarded. Yeah, there’s lots of bits there that are quite autobiographical. I’ve always thought that when you do go into quite a lot of detail – and make a scene really vivid – people listening to it seem to connect with it even more. In some places it’s not me strictly – it’s a creative character – but I never think that matters as long as you make it feel like an actual real thing that people can actually picture happening. You come away from songs like “Smoke” and “Sister” thinking that you’re from a lineage of very strong women. Is that right? Yeah. I mean, I lost my mother a few years ago and as I get older and move into her shoes a bit, I feel I identify more with her. It’s comforting, and it gives you greater insight, because all those things that I thought that were frustrating about her I now completely understand. So those figures in your life become even more important as you get older. And on “Sister” I’m talking partly about my theoretical sisters, but also my actual sister. I like blurring that distinction between those different forms of sisterhood. On “Air” you discuss not conforming to standards of femininity or beauty. Can you tell us about the impetus behind those feelings of defiance? Yeah, I was trying to mark these marker points in a woman’s life. I think one of those for a lot of women comes in those teenage years when you’re emerging out of childhood, into that period where you’ve got to try to define yourself. At that point, all those gender stereotypes kick in, and they can be so suffocating. I remember the feeling of both trying to fit in and then also feeling quite defiant about it and angry about it, and thinking, “I absolutely don’t want to try to fit in – I want to be the person I am.” So the song ends up in a point of defiance, because that’s the only way to achieve freedom really; to ignore expectations and try to shake it off. “Babies” is particularly powerful. What made you want to tackle the subject of female reproductive health? Well, I don’t think it gets talked about that much in pop music and I’m all for just bringing fresh subjects into songs. I can’t write endless love songs, or break-up songs, because that’s not my life anymore, so I’m often just looking for other stories to tell and other ways to engage with people. And it just struck me that the experience of having kids made me even more aware of the importance of being pro-choice, how much of an impact it had on my life having had that freedom to decide when I had my kids, and how much I enjoyed it because I’d been able to make the decision to have kids. The subject feels especially pertinent right now, particularly in countries where they’re forever amending or attempting to amend the law around reproductive health. Yeah, I mean it’s so shocking to me that we could ever take backwards steps on that issue. And it seems to me so clearly an issue about control and reducing women’s freedom in the world, and their ability to function on an equal level. It’s shocking. And you watch something like ‘The Handmaid’s Tale’ and that reminds you again of what it actually means to completely control women and their fertility and their access to their own body. So, yeah, it just seemed really important to me. “Sister” provides an amazing, space-disco centrepiece to the record, while discussing domestic violence and the importance of sisterhood and solidarity. Where did the spark of inspiration come from? So, I wanted to write something that captured that real sense of frustration that we’re still arguing the same old s**t but also the strength that comes in thinking, “Yeah, but I’m not fighting alone.” There’s a bitter humor in that stuff. And we all know it. You speak to other women and they all will just shake their heads knowingly, going, “Yeah, I can’t believe it either, but here we are.” That’s where we are so you’ve just got to keep going. Do you feel hopeful for the future, particularly in the light of movements like #TimesUp and #MeToo? And yet it’s become fashionable in the press to criticize young people. Of course! Because they’re quite progressive thinkers, as young people tend to be. But young people get castigated for being self-obsessed and lazy and I don’t think anything could be further from the truth.